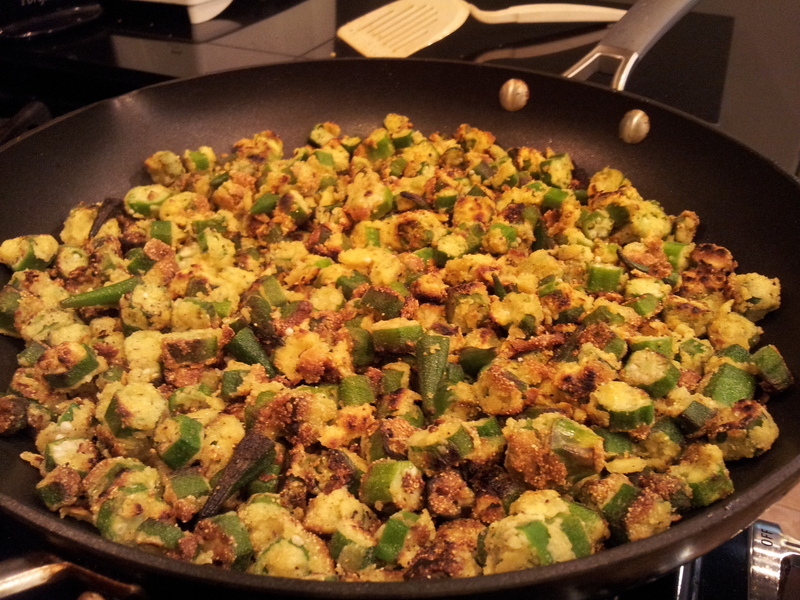 This past weekend I was preparing pan fried okra. I gently lifted one of my range fed eggs from its nest in the carton. My left hand opened the refrigerator, grabbed the milk, and closed the door in one fluid sequence. My fingers slid over the smooth chrome edge as I choose the proper sized mixing bowl. I instinctively pivoted and opened my kitchen utensil drawer and lowered my hand to grab my Kitchen Aid medium sized whisk. The muscle memory in my hand was already preparing for the size of its handle and the weight distribution of its shape. And then my brain jolted. I stopped my “cooking dance” and pulled the drawer open further. Where was my whisk? I searched back, back, back…and…oh. We had a potluck dinner at work and I had taken it with me to prep the Caprese salad dressing right before serving time. I poked around in the drawer here and there, dissatisfied. 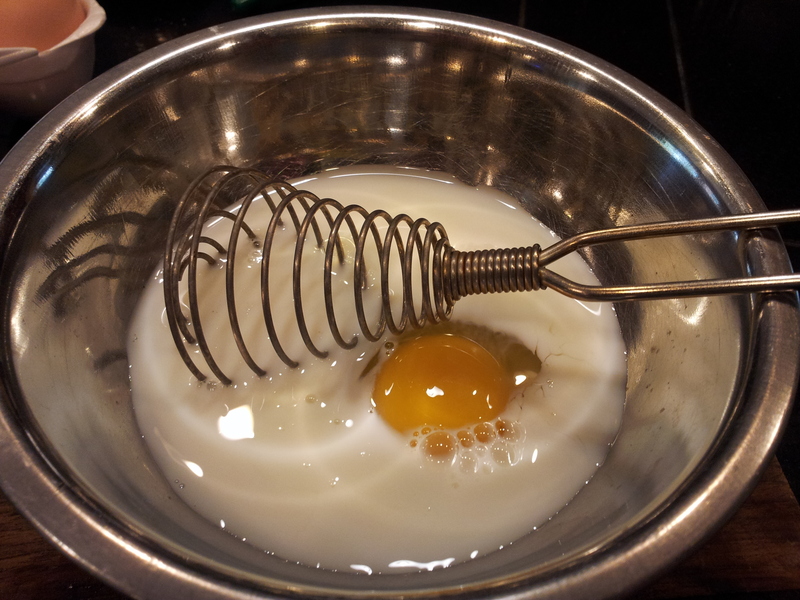 But then I spied my mother’s old spiral, or spring, whisk. She had given it to Rylee, and it was back in my drawer now that Ry was living with us for a while. My best guess was that my mother had received it as a wedding shower gift. It had certainly been in the family for as long as I could remember. “Okay,” I thought. “I’ll give it a whirl.” And then I giggled because I had just made a pun. About eight seconds later I was looking at a perfectly mixed egg and milk batter with beautiful, frothy bubbles floating on top. It’s possible that whisk is fifty years old. How may meals has it served our family? 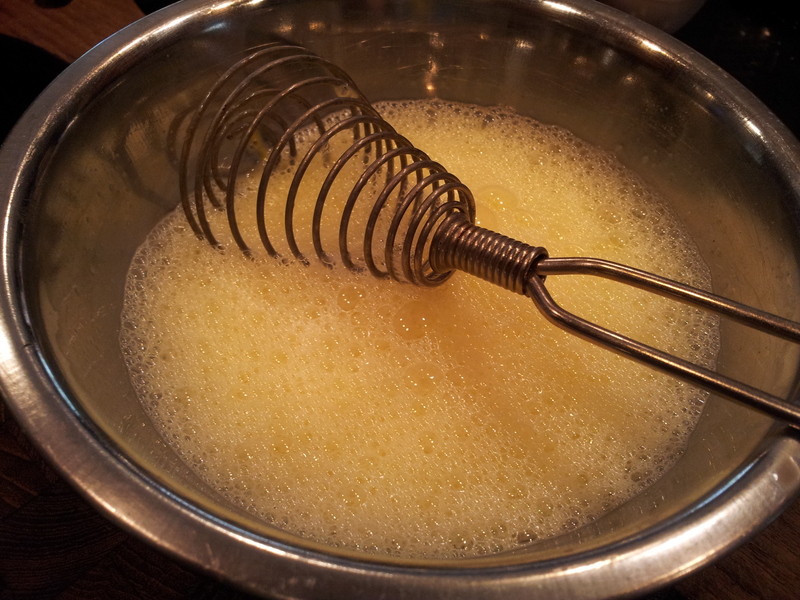 How many meals have we served because the whisk served its purpose for us? I finished my okra, then respectfully washed the whisk and picked up a tea towel to finish the job. Walking back to my utensil drawer, I decided that the whisk needed a more respectful place and so I rearranged just a bit before closing the drawer again. Yeah, I’ll give a whirl again. Very soon.